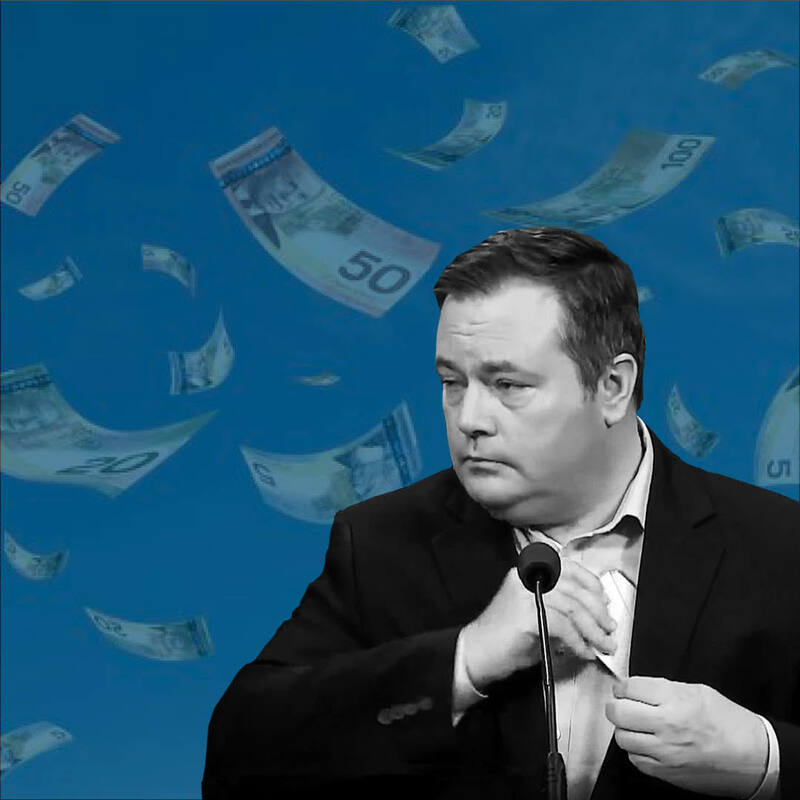 Fines doled out by the elections commissioner continue to tighten the rope around Jason Kenney’s involvement in the growing Kamikaze scandal. Three new people connected to the Callaway-Kenney campaign were given $8,000 in fines and issued several letters of reprimands by the Election Commissioner for their involvement in Kenney’s underhanded plot to torpedo Brian Jean’s leadership campaign. Kenney supporter and key Kamikaze scandal organizer, Cam Davies, admitted that the campaign relied on funding from a single corporate donor divided up among several fake donors. For his participation in the Callaway-Kenney campaign, Davies was also given the single largest fine in Elections Commissioner history. All together the Elections Commissioner has given out over $26,000 in fines related to the Kamikaze scandal and that number keeps growing as the RCMP and election commissioner continues to dig. It’s clear that under Jason Kenney’s leadership everything is just fine ;) in the UCP. His own party fined him $5,000 for breaking the rules and then instead of apologizing, he doubled down and blamed the party for making the rules in the first place. Kenney’s staff said "fines wouldn't be a problem" for them because they had more than enough money coming in. You never have to worry about money when you’ve got big corporate donors on speed dial. Alberta's Election Commissioner previously handed out a $1,000 fine to a PAC that endorsed Kenney for failing to file their financial statements for two years. No surprise that Kenney’s PACs didn’t want to disclose their donors. Kenney used $60,000 in shady corporate money to finance his Kamikaze campaign and big corporate donations to another one of Kenney’s PACs bought a $4.5 billion tax giveaway for the rich. He had to pay back $7000 in taxpayer money he used to host himself a fancy partisan fundraiser banquet. Under his watch even his candidates are getting caught breaking the rules. Kenney’s Calgary-Hays candidate was fined for breaking Ethics rules after being caught trying to use his position as MLA to increase the profits of a company he owned a stake in. It’s clear that Kenney thinks there’s one set of rules for him and one for everyone else.